When the Royals traded away Wade Davis in a one-for-one swap for Jorge Soler in December of 2016, the trade looked like a win-win. The Cubs needed a closer and had an extra young, cheap outfielder. The Royals had Kelvin Herrera presumably ready to step in at closer but needed some offense to make one last run with their core. For the Cubs, the deal worked out as expected. In 2017, Davis had a very good year for a very good club. For the Royals, however, the trade went less well. Herrera struggled — and, even though Scott Alexander and Mike Minor exceeded expectations, the team probably missed Davis to some extent. Soler, meanwhile, played poorly, ultimately passing much of the season at Triple-A. The Royals ended up finishing just five games out of the Wild Card. If they had gone 11-8 against the Twins instead of 8-11, they might have had one last chance at October. Soler is now off to a great start in 2018, and the Royals control him at a low cost for the next four seasons, although there is a reasonable argument to be made that winning the trade is impossible at this juncture. The Davis trade diminished the the Royals’ chances of winning a division title, prevented the club from receiving a compensatory draft pick, and led the team to trade away Esteury Ruiz, Matt Strahm, Travis Wood, and cash for Ryan Buchter, Trevor Cahill, and Brandon Maurer. Cahill didn’t work out with the Royals, Maurer is off the 40-man roster, Buchter was sent to the A’s with Brandon Moss for Jesse Hahn — currently on the 60-day disabled list — and Heath Fillmyer. That’s the road the Royals traveled down last year, it did not work, and now they are terrible and likely several years away from contending. Concluding that the Davis-Soler trade is already a loss for Kansas City requires some hindsight analysis. Davis was hurt in 2016, and his performance in 2017 was far from a guarantee. There is an alternate, even reasonable, scenario where Herrera pitches well in 2017, Soler provides solid production in an outfield corner, and the money saved on Davis’s salary that went to (which went to Moss and Wood) produces two more contributors to a potentially contending team. Davis didn’t get hurt, Herrera wasn’t great, Wood didn’t pitch well, and Soler and Moss combined for -1.4 WAR on the season. The plan didn’t work out, but it was at least defensible in terms of competing in 2017 with the added benefit of acquiring a future asset in Soler. After a .144/.245/.258 season with a 32 wRC+ in 110 plate appearances, Soler has authored a gigantic turnaround. In 133 plate appearances this year, the Royals right fielder is hitting .324/.436/.546 with a 166 wRC+. That batting line is greatly helped by a .411 BABIP; however, the 16% walk rate, a reduced 24% strikeout rate, and an ISO above .200 provide a solid base for Soler to be a productive hitter if fewer balls drop in for hits. In terms of projections, Soler’s fast start has eliminated his awful 2017 season. When the Royals traded for Soler, he had just finished a season where he put up a 105 wRC+. Entering the year, he was projected for a 98 wRC+, but he’s already back up to 107 for the rest of the season. As for how Soler has made such dramatic changes to his fortune, he lost some weight and reworked his swing. Maria Torres of the Kansas City Star discussed the change with Soler in the offseason and wrote the following. Now Soler bears down on his back foot more, taking his stance a bit off-center to see the pitch on a level that’s more even with his gaze. His depth perception is better than it’s ever been. Ideally, he’ll have a higher success rate on pitches thrown inside now that his barrel is quicker to the ball. Soler gets the barrel on the ball with a more compact swing. The ball stays fair and goes a long way. 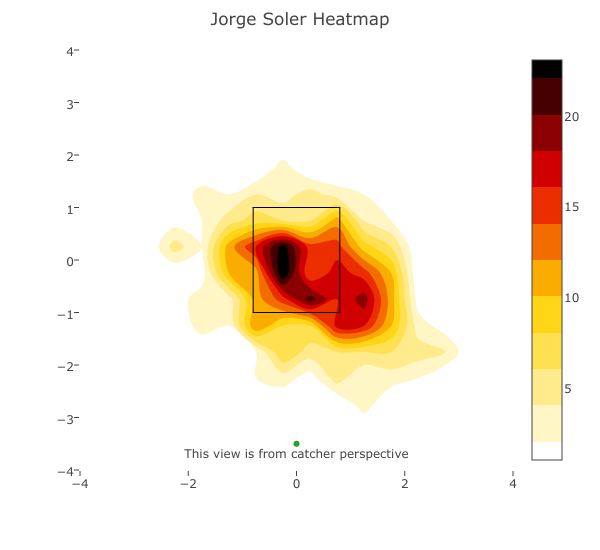 Soler has long been a fairly patient player, taking a lot of pitches and recording a lot of walks. The same has held true this season, although he is swinging and making contact at more pitches in the zone. That’s reduced his strikeouts, perhaps due to his swing changes. Despite more swings in the zone, he’s been able to increase his walks because he is seeing quite a bit fewer pitches in the zone. His nine-game walk streak earlier this year represents the longest of the season and one of the longest of the last four seasons, as shown in the table below, per Baseball Reference. There’s still a bunch of pitches in the middle, but there are a lot more pitches outside the strike zone, too, particularly away. Pitchers don’t seem as willing to challenge Soler as they were a year ago. There’s some reason to believe the 26-year-old is going to keep hitting. Soler’s .222 ISO is actually lower than his expected ISO based on launch angle and exit velocity. Of his 13 extra-base hits, nine are doubles; just four are home runs. If a few more doubles turn into home runs, the power has potential to grow and mitigate some of the damage to Soler’s batting average when the BABIP drops. 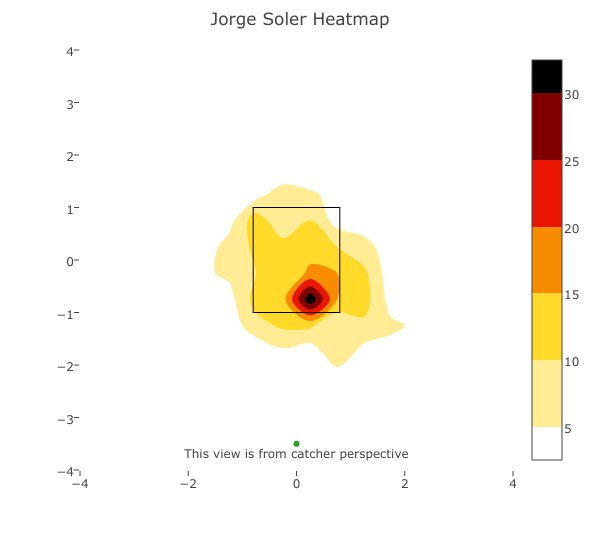 Jorge Soler entered the season with a 96 wRC+ and a 0.8 WAR in 875 plate appearances. He wasn’t quite replacement level, but he was pretty close. With his good start, even if he merely hits his modest projections the rest of the way, he’s going to be an above-average player this season. While last season didn’t go the way Soler or the Royals would have preferred, Soler has turned things around and, with four more years on the Royals, he might last long enough to be on the team the next time the Royals are trying to contend. We hoped you liked reading Jorge Soler Is Erasing 2017 by Mashing in 2018 by Craig Edwards! The notion the Royals can’t win the trade is foolish. Many things can happen in the next four years that make this a major win for the team (likewise, this could be made into a major loss). Soler skill growth, Soler leading a contending team, trading Soler for pieces that lead to a contending team, etc. Not only that, but the author of the piece on Royals Review is starting on the wrong premise. Trading Wade Davis wasn’t a “punt 2017” move, it was a “what do we need to try and compete in 2017” move. From the Royals viewpoint, it was perfectably ok assumption to believe Herrera would do a good job closing games. He was never going to be Wade F. Davis good, but many teams have won before with “good not great” in the ninth inning. Soria in the 8th was a gamble, sure, but if Jorge Soler plays in 2017 the way he’s playing now, the Royals bullpen margin of error increases. Hindsight is always going to be 20/20. Jorge Soler was horrible in 2017 and maybe the Royals get the second wildcard in 2017 with Wade Davis, but saying that that trade was “punt 2017” is absurd. Besides, the author lumps the trades at the deadline with the offseason. I get why he is doing that, and the Royals future looks worse now because of those trades, but those trades are the ones a FO makes when they want to compete, not punt a year. This reminds of the ‘every team must always compete now’ narrative that the ESPN/Fox portion of the baseball media is pushing. The Wade Davis trade cost the Royals a very small percentage chance of the playoffs: he was worth 1.1 WAR and had a 3.38 FIP, walking 4.30 batters per 9. He was a good reliever, but not nearly good enough to close a 5 game gap with Minny for the 2nd wildcard. Adding in Soler’s poor performance (-0.9 WAR) doesn’t close the gap either- and there is an argument that KC ought to have let Soler stay up and work through his problems, as they only have him 110 major league PAs in which he was a disaster (.203 BABIP, .110 ISO, 32% K rate) but mashed in 327 PAs at AAA (.408 wOBA). So if Soler is credited with his MLB-equivalent WAR for his AAA performance, his 2017 would look less disastrous as he was an excellent baseball performer for much of the year- simply kept at AAA by KC. For sake of argument, let’s throw in his -0.9 WAR to bring the ‘trade cost’ up to 2 full wins- KC would have still fallen 3 games short of the flukishly-low 85 win threshold for last year’s 2nd WC slot. The Royals simply weren’t very good, they went 80-82, with a -89 run differntial. The old fangraphs writers would likely credit the Royals for cashing in on a name reliever who, notably, did not see his K rate grow with the rest of the league, whose name was becoming bigger than his value, and was beginning to have control problems. With a low projected win total, and with playoff teams willing to pay good prices for rental relievers- KC acquired a talented OF approaching his peak seasons. High quality baseball analysts have always measured out the substantial benefit of trading a rental reliever for the peak-years of a talented position player. This is true even in an era of increased bullpen value and usage, as the Chapman trade was an extreme outlier and does not represent market value for relievers, which has stabilized around $6-9m per WAR as at all other positions. 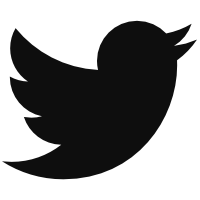 If an author is going to play what-ifs, it helps to use empiricism and data to estimate what would have happened. There is no serious argument that the Davis trade cost KC 5 wins. Running Monte Carlo simulations, the additional odds of a playoff appearance for an 82 win team, as compared to an 80 win team, are negligible. Making the playoffs with 82 wins will almost always occur as a division winner, as scheduling patterns make it very difficult for either league to have only 4 of their 15 teams win 83+ games. Since KC ws never in the mix to win the ’17 AL central, and since they only won 80 games and could at best expect 2 more without the Davis trade: the trade could only cost KC a tiny sliver of a playoff chance no matter what method was used. KC, of course, had a high quality bullpen in 2017. Mike Minor posted 2.1 WAR, Joakim Soria posted 1.7 WAR, Scott Alexander posted 1.1 WAR. Peter Moylan and Kevin McCarty combined for 104.1 IP, 3.37 ERA, 3.99 FIP and 0.5 WAR. So KC’s top 5 relievers (none started a game) combined for 5.4 WAR. Kelvin Herrera struggled (0.1 WAR), however, so lazy analysis that focuses on ‘names’ would tend to think KC had a bullpen meltdown, when in reality it had one of the games best performing bullpens. Had a declining Davis pitched the 9th with a declining Herrera taking the 8th, KC would have been worse than they are, and the Minor/Soria/Alexander trio would have pitched less (and Alexander might not have got a chance at all). KC’s real problems were it’s regressive practices- giving older players with names big contracts and roles despite obviously declining ability, i.e. Ian Kennedy, Kelvin Herrara, Alex Gordon, etc. For instance, backwards as usual Dayton Moore bet on Trevor Cahill to help the bullpen, as he was coming off of a 2.94 ERA season (though with a 4.35 FIP). Cahill was poor (-1.0 WAR). Other bad, typical KC moves included bringing in a bunch of declining, 30+ year old, ‘middle tier FAs’ like Brandon Moss, Jason Hammel, Chris Young, etc. The new CAA/Boras-narratives being pushed no longer scrutinizes these moves. Soler is now probably KC’s best asset. A fact-based analysis would appreciate that flipping a declining, paid, rental reliever in his walk year for a team’s best asset is an easy win- and that giving up the ‘chance to make the 2nd wild card with 82 wins’ is a negligible loss because it is so unrealistic. Not only the narrative (“never trade present wins for future wins”) but also the ‘paint-by-numbers’ approach to the article is a reversal of fangraph’s traditional high quality. This article is formulaic, (1) intro a topic by rehashing another person’s article (the SBNation article) uncritically (positive click baiting); (2) push a counter-factual narrative with only a tiny bit of data analysis, increasingly poorly done; (3) show 3 video clips; (4) try to ‘eye test’ some clips or photos for slight differences without any serious analysis about whether these differences make a statistically significant impact; (5) a table; and (6) some heat maps. Fangraphs is still great for having Jeff Sullivan and Jeff Zimmerman, but in the main the quality has hugely declined. Davis for Soler was one of the only things KC has done right in the past few seasons.